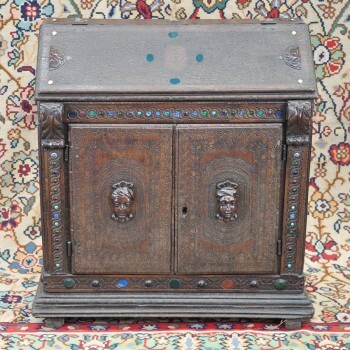 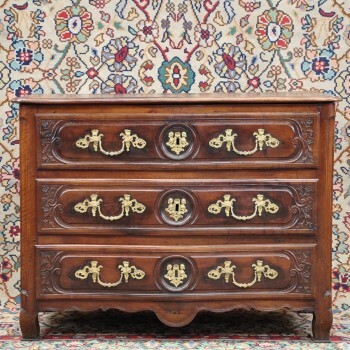 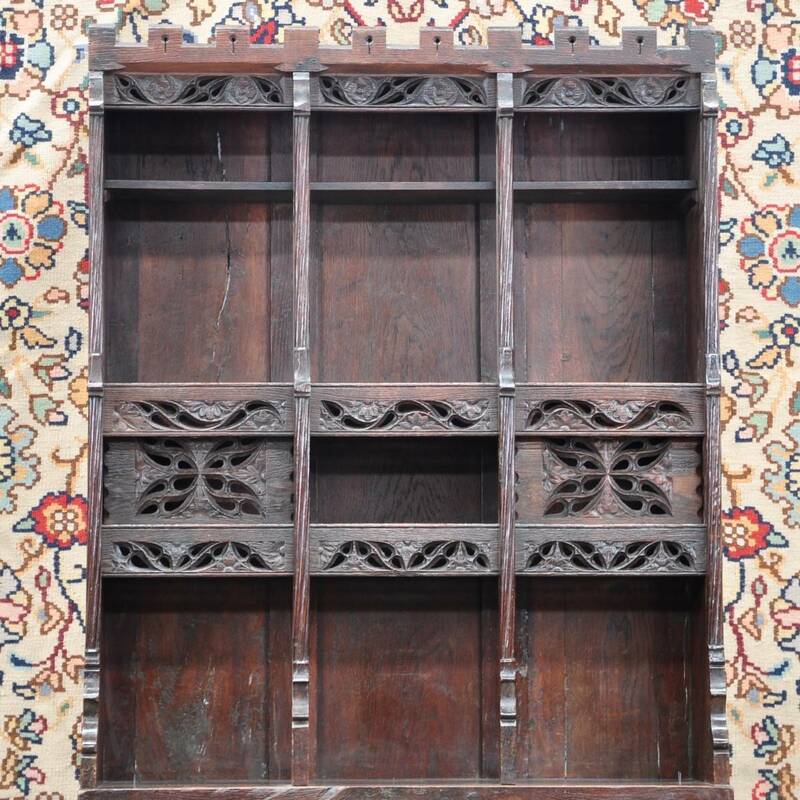 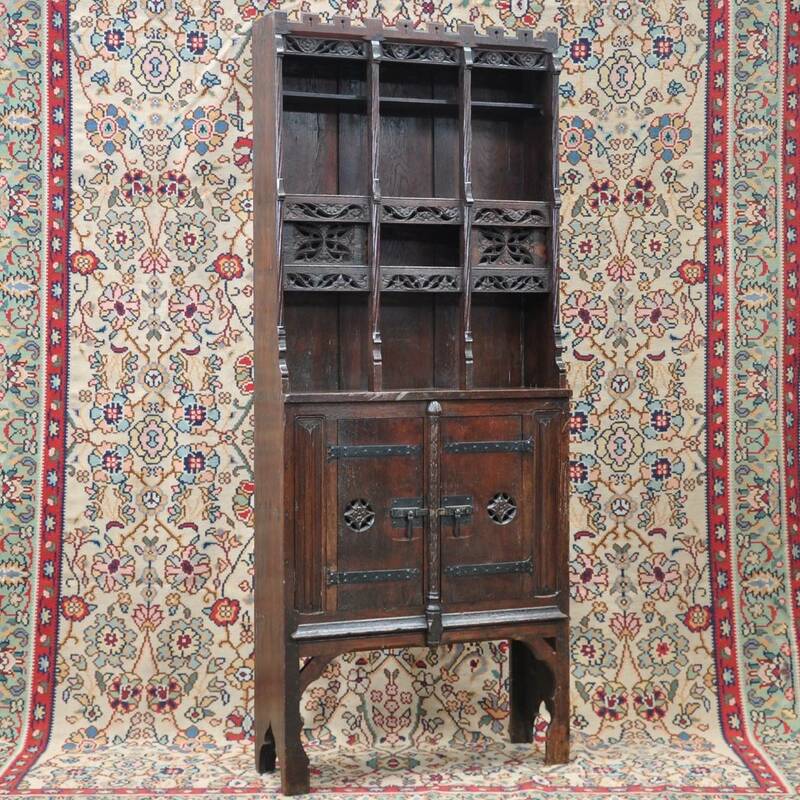 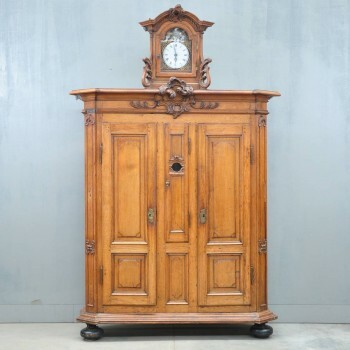 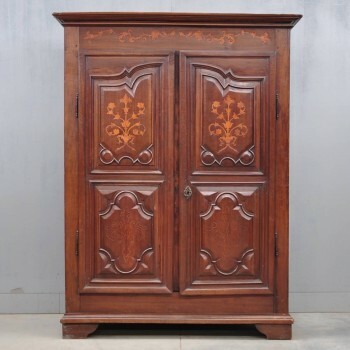 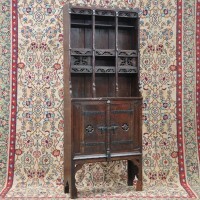 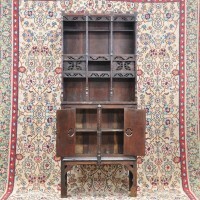 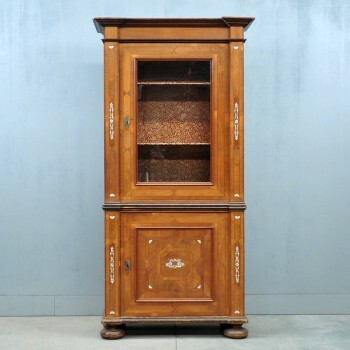 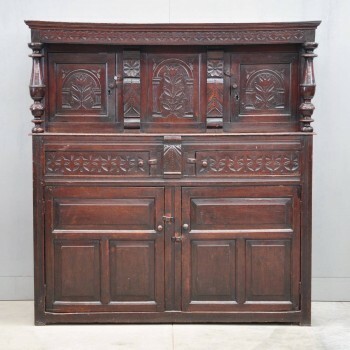 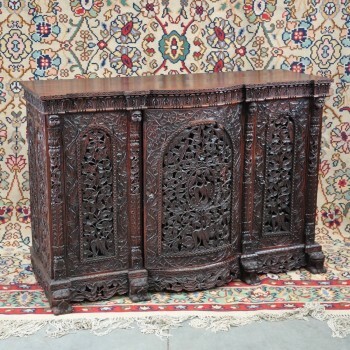 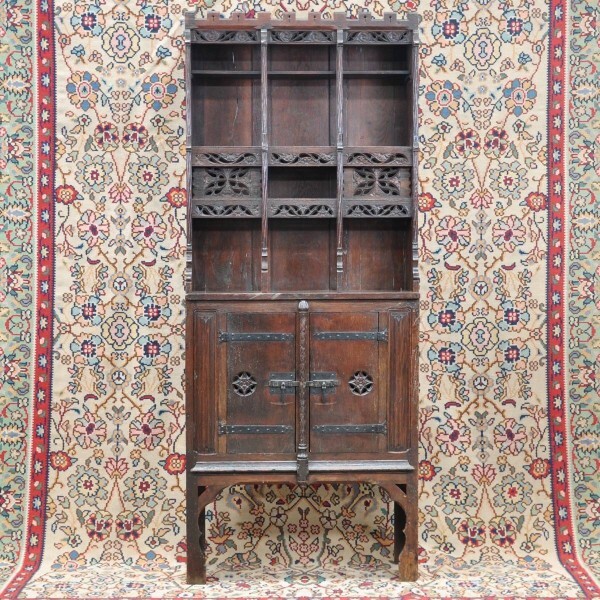 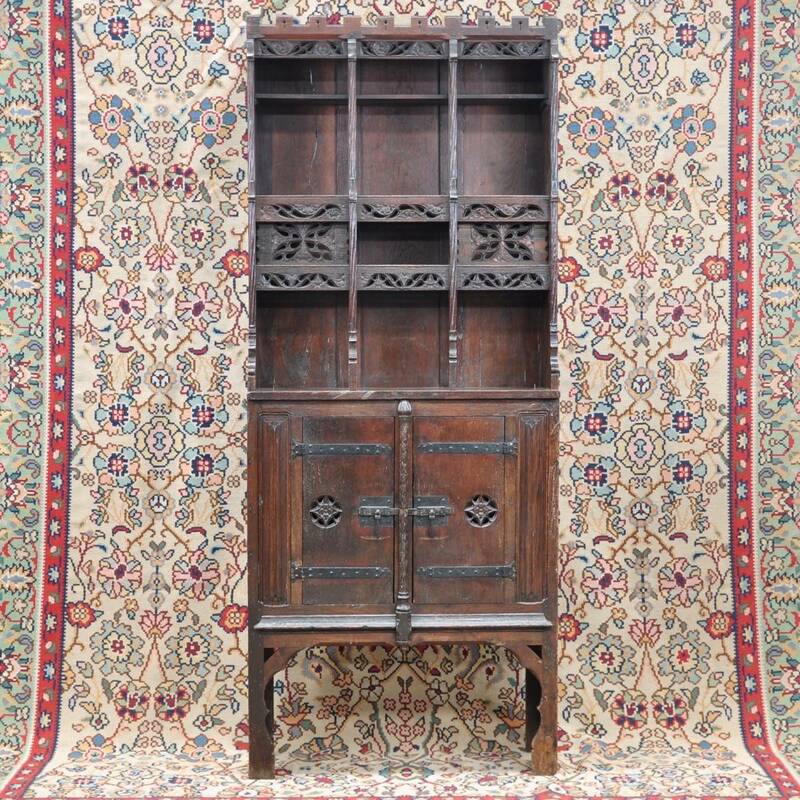 Oak gothic style etagere cabinet with carved ornaments and decoration. 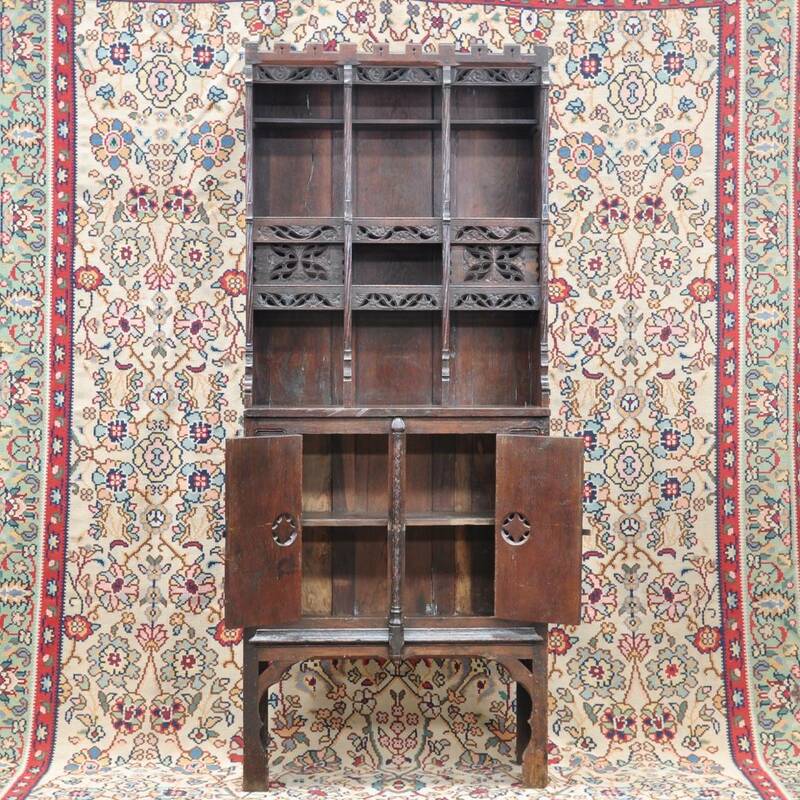 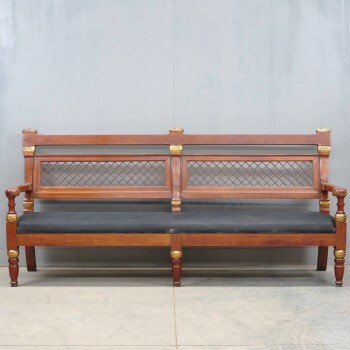 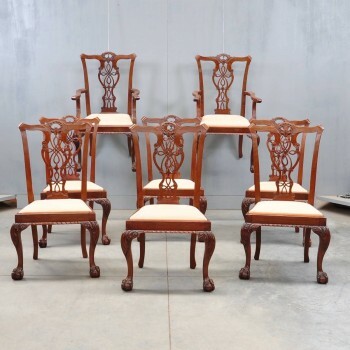 Oak gothic style etagere, top parts with original rack with shelves and decorated with carved decorations. 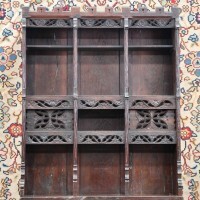 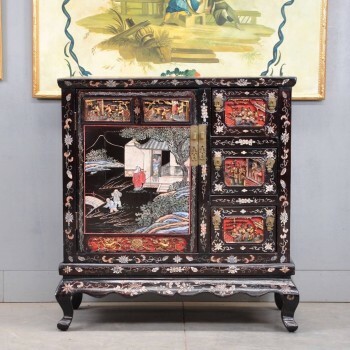 Bottom parts with two doors enclosing spacious interior with shelve.